Jammu and Kashmir High Court has directed the Government to strictly enforce the liquor policy to restrict and regulate the trade of liquor, adopted by it. The court also asked the State Government to ensure that no liquor shop is allowed to operate on the State/National Highways beyond December, 2015. A Division bench comprising Chief Justice N. Paul Vasanthakumar and Justice Hasnain Massodi, however declined to impose strict ban on liquor as prayed for in the Public Interest Litigation is filed by Karwani Islami Society, saying that the question whether total prohibition has to be strictly enforced or not is a policy decision to be taken by the State. 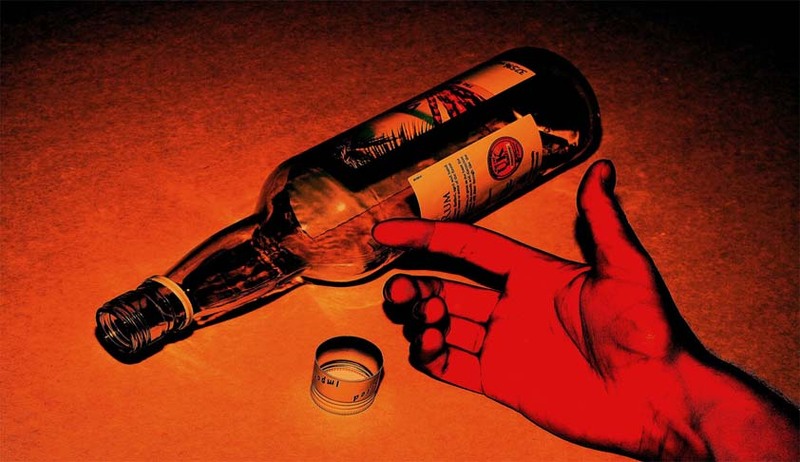 The society had contended that the State of Jammu and Kashmir has failed to take necessary steps for prohibition of sale and consumption of liquor in the State of Jammu & Kashmir due to which the health of the residents of the State is effected and various social evils are taking place and many human beings have lost their lives due to drunken driving and sexual offences are on the rise. They also contended that Article 47 of the Constitution of India and Section 24 of the Constitution of Jammu and Kashmir mandates the State to take every effort to safeguard and promote the health of the people and imposes an obligation on the State to curb the sale and consumption of liquor is responsible for deteriorating of public health. The petitioner had submitted representation to the Government and also forwarded a draft bill to the respondents for taking action to prohibit the sale of liquor in the State of Jammu and Kashmir. They submitted before the Court that no action is being taken and hence they have approached the court for a direction to state to close all shopand other establishments wherein liquor is sold and to ensure that those involved in this business be rehabilitated by providing alternative means of livelihood and also to provide necessary counselling to those who are addicted by liquor. The state filed counter affidavit in the Writ petition and said that around 40 Liquor Shops are located on the National Highways and notices have been issued to such licensees on 21.09.2015 and 30.09.2015 to shift their retail outlets to some other places within a period of three months in accordance with the norms/procedure in vogue failing which their licensed premises shall be closed without any further notice. The Court observed that drunken driving is causing most of the accidents and a number of deaths are being reported. The court said thatthis stand taken by the state shall be strictly implemented and if any liquor shop is allowed to operate on the State/National Highways beyond the time granted i.e. after December, 2015, either the writ petitioner or any person interested in closing the said liquor shops can approach this Court for immediate closure of the said shops. Liquor is taxed heavily. The duties/taxes have been enhanced considerably so as to discourage excessive use of liquor. No Advertisement of liquor is permitted in the State. No liquor is imported into the State or sold in the State without the legend “Consumption of Liquor is injurious to health” printed on the labels. A licensee cannot exhibit the pictures or photographs of prominent National/State Leaders in the licensed premises. Liquor cannot be sold to a person of less than 21 years of age. Timings to operate Wine Shops and Bars have been notified and no one is allowed to operate beyond prescribed time. The License is not granted if the premises is near any educational or religious place. If the site of the proposed license is near a Railway Station, educational Institution, hospital area or any large factory, mill or workshop, the Deputy Excise Commissioner has to obtain the opinion of the Railway, educational or hospital authorities or commercial firms concerned. Categorical NOC is sought from District Magistrate/District Superintendent of Police/Municipality or Town Area Committee before issuing License for the trade. Objections from general public are also sought before granting any license for conducting liquor trade to any individual. The Court, taking note of the submissions made by the State, remarked “merely bearing the labels printed on the liquor bottles that “Consumption of liquor is injurious to health”, the evil of liquor cannot be spread. “ The Court directed the Excise Department of the State Government to take necessary steps to educate the residents of the State regarding the evils of drinking liquor which will promote the policy behind Article 47 of the Constitution of India. The Court also granted liberty to the petitioner or any person who is effected or interested in the implementation of the restrictions/regulations to approach this Court for appropriate directions by pointing out specific instance or instances of violation of the regulations, if the State failed to enforce and implement the aforesaid policy.